The Hawks completed the double over Lou's Casuals at Langstone Sailing Club on Wednesday evening and recorded a rare third straight victory in the process. 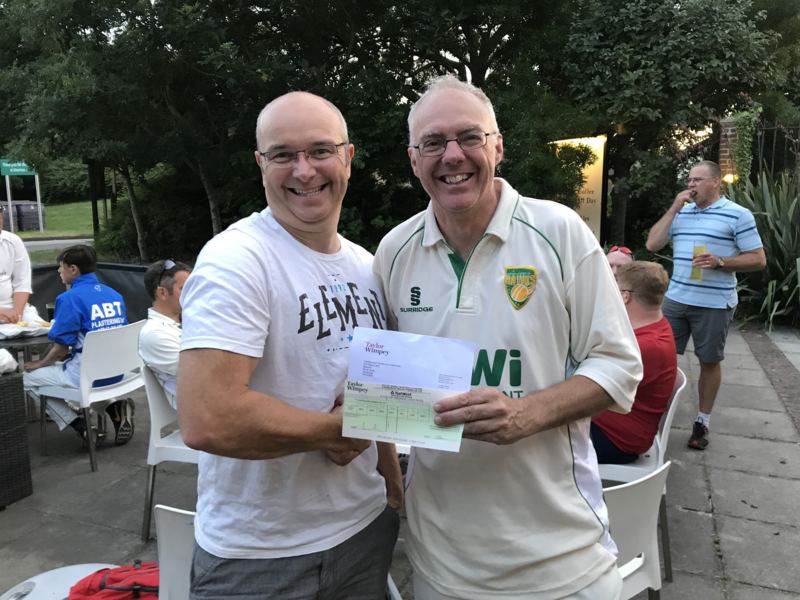 It wasn't all plain sailing though for the Hawks and with the Casuals able to field a full team this time around, Chidham were made to work hard for the victory with only 10 runs the difference between the sides at the end of play. Chidham were forced to make four changes from the side which beat the Casuals two weeks ago with Matt Chesshire, Joe Phizackerley and Andy Clark making their seasonal debuts and in the absence of club captain Keith Davey, Vinnie Smith stepped up to the skipper role and started off well by winning the toss and electing to bat with Keyno, the other player to miss the first Casuals game, still yet to arrive. Peterson and Chesshire opened up the batting for the Hawks and got off to a great partnership before Chesshire was controversially dismissed for LBW on 11 runs (bowler 13 year old Rhys Grocott). Peterson was striking the ball well and soon reached his forced retirement after two huge sixes (30 runs) but then followed a mid-order collapse. 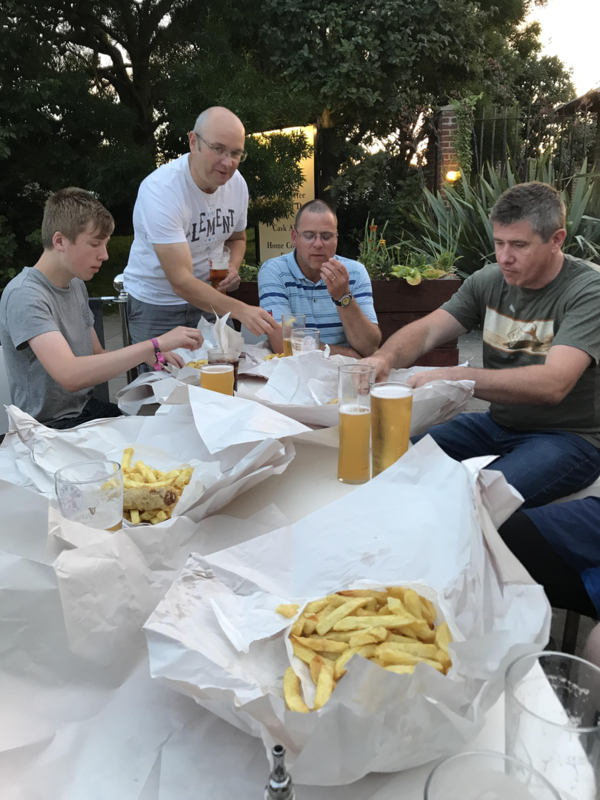 Van Niekerk was caught out on 4, Wild was bowled out on 5 runs - Simon2 taking his second wicket - Strudwick and Dungar both went for ducks after some fine bowling from Nick Grocott and Andy Clark was bowled by Paul Boyle on 7 runs after some initial neat stroke play. Chidham number 6 Vinnie Smith and number 9 Joe Phizackerley were able to steady the ship for the Hawks with the latter reaching an excellent 20 runs before bowled out and Smith was there right to the bitter end riding his luck and also reaching 20 runs (not out) - J Keynes added some late runs in the last over to leave the hosts chasing 115 for the win. Dungar and Peterson opened the bowling for the Hawks and Dungar got the wicket of Simon2 with his third ball after an excellent catch behind from wicket-keeper Steve Clarke. Peterson started with a maiden over and only gave away two runs in his second over and the Casuals were stuck on 12-1 after four overs. 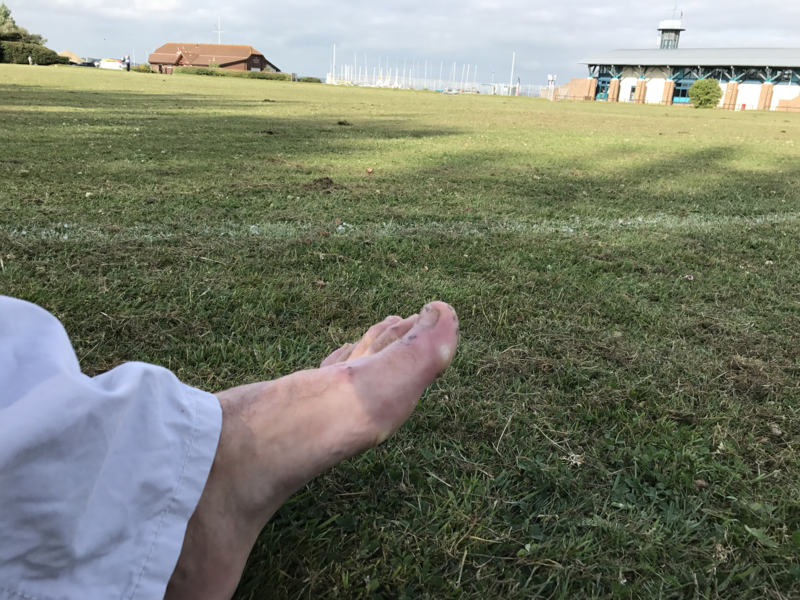 Joe Phizackerley was next up to bowl and he took the wicket of big Nick Grocott with his very first ball of the season and also took the scalp of Tom (caught Strudwick) in his last over - a Casuals player who had batted so well at Bosham but only managed to get 2 runs here. Andy Clark matched Joe with a brace of wickets for just 9 runs in his 3 overs taking the wickets of Rhys (caught Peterson) and Pearcey (caught Clarke) - a Clark(e) double! Vinnie, Strudders, Willem and Keyno continued the fine Hawks bowling performance with 2 overs a piece, Keynes taking the wicket of Simon Toms (caught Chesshire) and Strudwick taking the wicket of Redman, controversially stumped out by Clarke when dilly-dallying out of his ground - did he not like that! 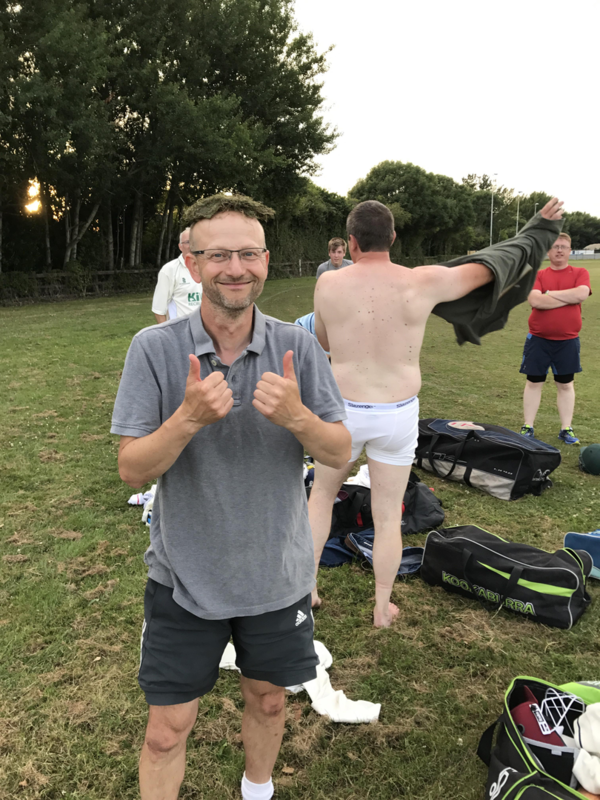 The skipper brought Dungar and Peterson back on for the final two overs and with Lou's Casuals needing 12 runs from the last over there was no better person that Peterson to stunt their ambitions. The players retired to the Compass Rose pub for some refreshments and food (sourced from the next door chippy) and during the sumptious feast Steve Clarke presented the club with a cheque from Taylor Wimpey which he managed to secure from his employers as a goodwill gesture for the local community.